"Prominent Culture Critic Argues That Game Culture Is For Guys"
Was that so hard? For what purpose was it needed to point out that she has a conservative leaning? In her video she never directly mentioned politics except to point out that politicians from both sides have been critical of video games. Does her political view make her opinions less valid? What if she was liberal? Would that have been included in the article title? I had this same thought a few weeks ago when Jim Sterling posted his video about Gamergate and one of the first things he did was insinuate that the whole thing is some sort of right-wing conspiracy. What does political leaning have to do with any of this? Why do we need to publicize the political leaning of someone we don't agree with? Who am I kidding? 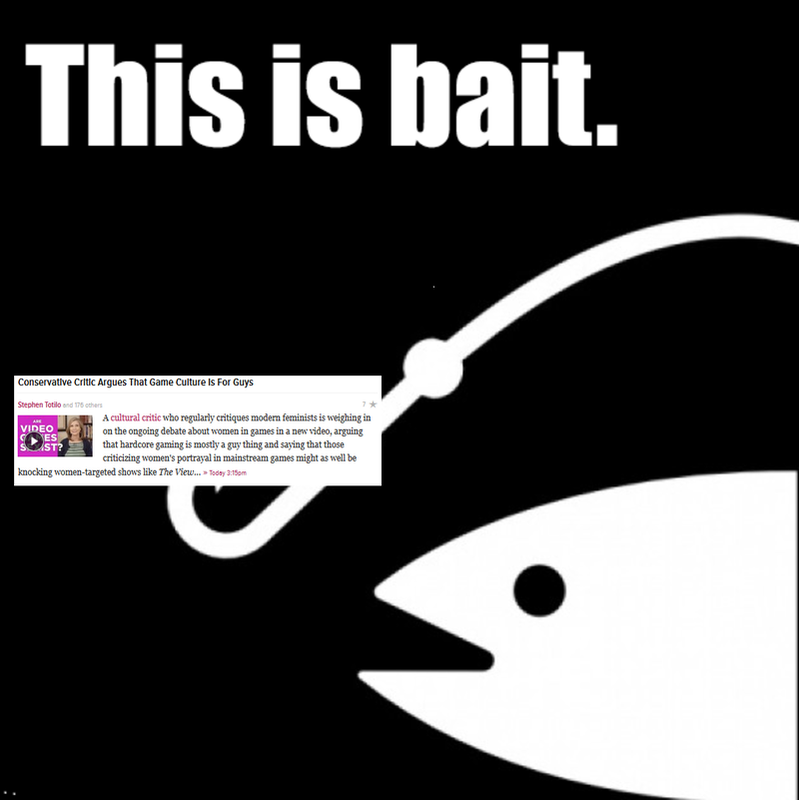 This is Gawker! I'll bet anyone $100 that this article will end up in the semi-hourly "Trending on other blogs" post that they post atleast 2 or 3 times a day. Honestly I wouldn't be surprised if it ends up getting directly posted on Gawker or Jezebel too. Can't we all get along and just leave politics out when they're not relevant? Update: Look at that Christina Sommers came out and clarified that she is actually a libertarian leaning Democrat. Stephen amended the title to drop Conservative but it brings me back to what I said earlier about what if she wasn't conservative. Why not change the title to mention that she is a Libertarian Democrat? Is her political leaning no longer relevant now?